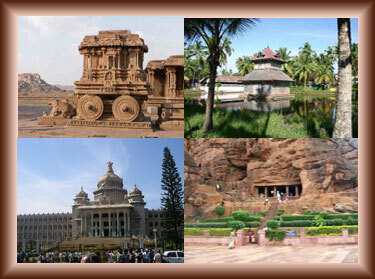 Shawnels Resorts South India Tours package to Cochin in Kerala. Kochi formerly known as Cochin (the erstwhile colonial name), is a major city in the Indian state of Kerala. The city is one of the principal seaports of the country and is located in Ernakulam District, about 220 kilometers (137 mi) north of the state capital, Thiruvananthapuram. 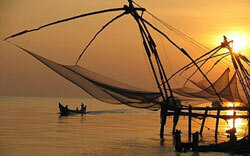 Kochi was an important spice trading centre on the Arabian Sea coast since the 14th century. Occupied by the Portuguese in 1503, Kochi was the site of the first European colonial settlement in India. It remained the capital of Portuguese India until 1530, when they opted for Goa as their capital. The city was later occupied by the Dutch and the British, though the Kingdom of Kochi remained simultaneously independent under paramountacy of British. Chinese fishing nets (Cheenavala). The Chinese fishing nets (Cheenavala) are distinctly unique to Cochin. It is believed that traders from the court of the Chinese ruler Kublai Khan introduced these nets here. Oddly, these nets are found only in Kochi, outside China! Many fishermen earn their livelihood by fishing using these massive nets. A whole stretch of the coast along Fort Kochi and Vypeen are dotted with these nets. A stroll along the beach, particularly at sunset with the Chinese fishing nets and sailing ships in the background, is a memorable experience. Many European style bungalows can be seen along the shoreline. The coastal stretch has loads of small stalls, which make on demand mouth-watering traditional cuisines using freshly caught fish. St. Francis Church It is the oldest church built by Europeans in India. On his 3rd visit to Kerala, Vasco da Gama, the Portuguese trader who reached India from Europe by sea, fell ill and died in Kochi. He was buried in the St. Francis Church. Later his remains were taken back to Portugal. In spite of that, his burial spot inside the church has been clearly marked out. Vasco house, located on Rose Street, is believed to be one of the oldest Portuguese houses in India. Vasco da Gama is believed to have lived here. This house features European glass paned windows and verandahs. 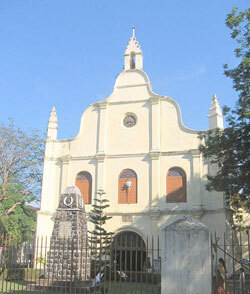 Santa Cruz Basilica The original church, situated in Fort Kochi, was built by the Portuguese in 1505 and named as a cathedral in 1558. The British colonists destroyed the cathedral in 1795. The current structure was built in 1905 and raised to the status of a basilica by Pope John Paul II in 1984. The Dutch Palace was originally built by the Portuguese. 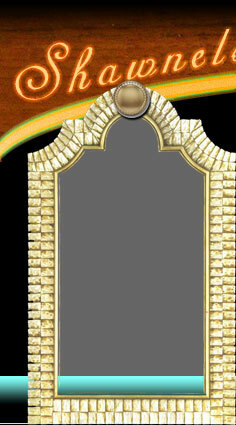 Later, in 17th century, the Dutch modified it and presented it to the Raja of Kochi. Coronation of many Rajas of Kochi was held here. The palace has a fine collection of mural paintings depicting scenes from the Hindu epics Mahabharatha and Ramayana. 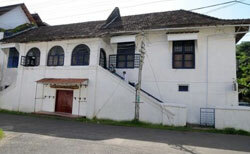 The palace is located in Mattancherry. This Dutch palace is situated on Bolghatty Island which is just a short boat ride away from the mainland. The palace has been converted to a hotel run by the Kerala Tourism Development Corporation (KTDC). The island has a tiny golf course and the panoramic views of the port and the harbor, makes it an attractive picnic spot. Frequent boat service is available from the mainland. Hill Palace Built in the 19th century by the Raja of Kochi, this palace served as the seat of the Raja of the Kochi province. 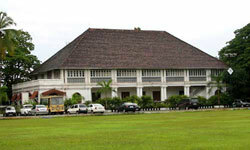 The palace has been converted into a museum displaying a fine collection of articles showing the wealth and splendor of the Rajas of Kochi, including the throne and the crown. The museum also houses a large collection of archaeological findings. Hill Palace is located 16km east of Cochin in Tripunithura, a satellite town of Cochin. It is the oldest surviving European fort in India, built by the Portuguese in 1503. Its situated in Pallipuram on Vypeen island. 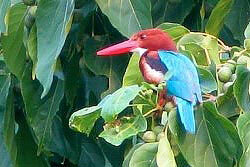 Mangalavanam is a protected bird sanctuary situated right in the heart of Kochi city. It is the home of many exotic and rare varieties of migratory and resident birds. Mangalavanam is located right next to the High Court of Kerala. The museum has on display spectacular audio-visual exhibits depicting the history and culture of Kerala along with many life size statues of many famous personalities and several paintings depicting Kerala history. Rajas of Cochin used to conduct their durbars in this impressive building located within the Durbar Hall grounds. It was later converted to a museum which has a treasure trove of archaeological findings and relics including old coins, sculptures, oil paintings and murals. The building has bee n taken over by the Kerala Lalitha Kala Academy and now houses the Gallery of Contemporary Art. All the exhibits of the museum have been moved to the Hill Palace museum. Veega Land is South India's largest amusement park situated 14kms from Cochin. The park includes a range of attractions including mini castles, water theme park, ferries wheel, rides, slides, shows and fountains. Kids and adults alike can enjoy the fun and activities. Marine Drive A stroll along the long tree-lined coastal pathway that lines the backwater is well worth the time spent, especially late afternoon or dusk. The bustling backwaters, dotted with fishing boats, speedboats, ships, tankers and passenger boats, can be observed from this walkway that lines the coast. This man-made island was created in 1933 by sand dredged while deepening the backwaters for the Cochin Port, under the direction of Sir Robert Bristow. A while back the Airport, Sea port and the railway terminus (Cochin Harbor Terminus) were situated on this island. Today, it is the home of the Cochin Port andthe headquarters of the Southern Naval Command. The airport continues to be the naval air station, while the main airport has been moved to Nedumbassery, 30kms north-east of Cochin. Most of the trains now terminate at Ernakulam Junction instead of Cochin Harbor Terminus. The Nehru stadium in Kaloor, has a seating capacity of 60,000 in multiple tiers. It is the fourth largest stadium in India and the largest in Kerala. The ground is lit by a set of unique convex pylon floodlights that arch over the ground. 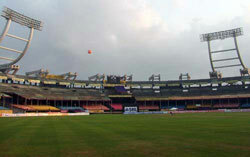 The stadium is home to both the Kerala Ranji cricket team as well as FC Kochi football team.